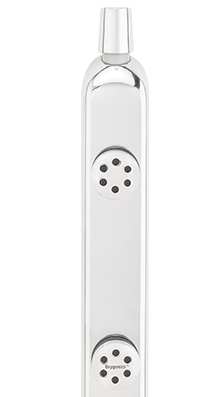 Drop for drop, nobody provides a better shower experience than Oxygenics. For over 35 years, Oxygenics has been pioneering industry-leading technology that leaves people drenched in amazement and soaked in satisfaction. Paired with your favorite Fixed or Rain, let the BodyBar transform your shower. You'll remember this Titan... 7 distinct settings and a powerful BodyBar provide unparalleled coverage! 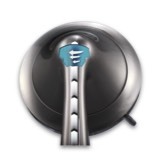 Spoil yourself with the PowerSelect's 7 settings along with the BodyBar's 3 powerful sprays. Your four-legged family members will agree – bath-time isn’t ruff with the PetJet. 3 distinct spray settings will lavish your pet with comfort. 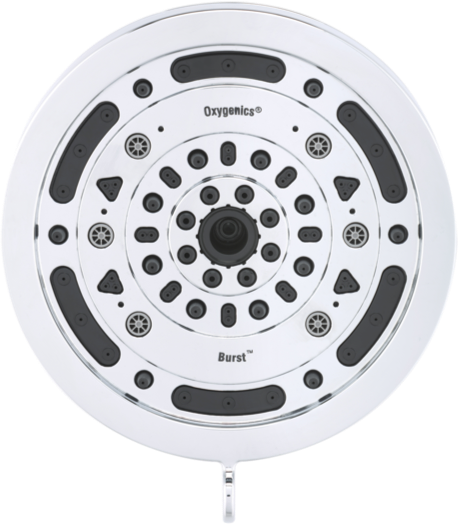 The Oxygenics engine is what drives our Oxygenics spray settings.  Water is first introduced into a pressure chamber that works like a mini turbine jet, increasing water velocity. Water then passes through an air vacuum at high speed, which infuses oxygen into every drop. 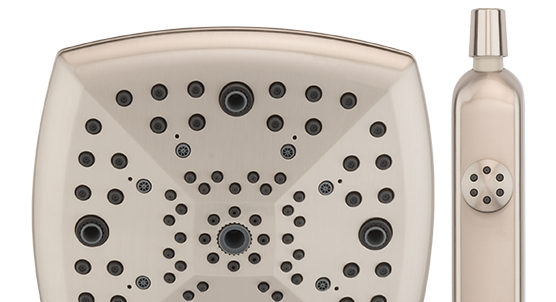 The pressurized and expanded water is released through the shower head nozzles, creating a highly efficient use of water that conserves energy and water. Adding oxygen to water is like filling up a balloon with air. 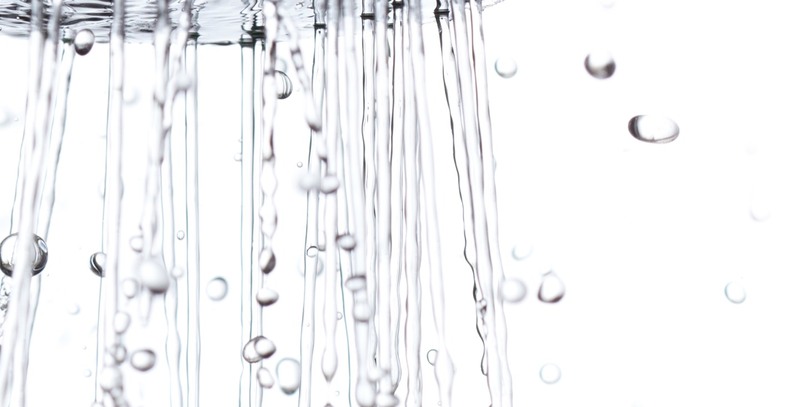 It causes the water droplets to expand and gives you more coverage when you shower. The mixture of oxygen and water created by the Oxygenics engine blasts away dirt and odor with incredible strength. 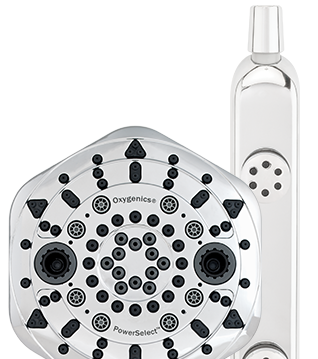 Oxygenics shower heads don't clog. Never have, never will. 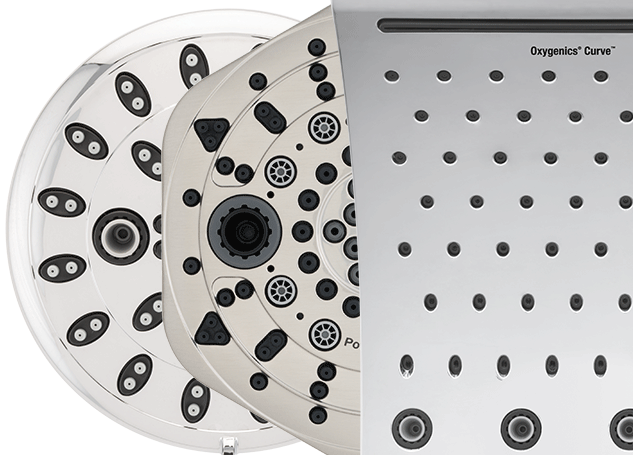 Our shower heads are built to last and are made from the highest quality materials, both inside and out. 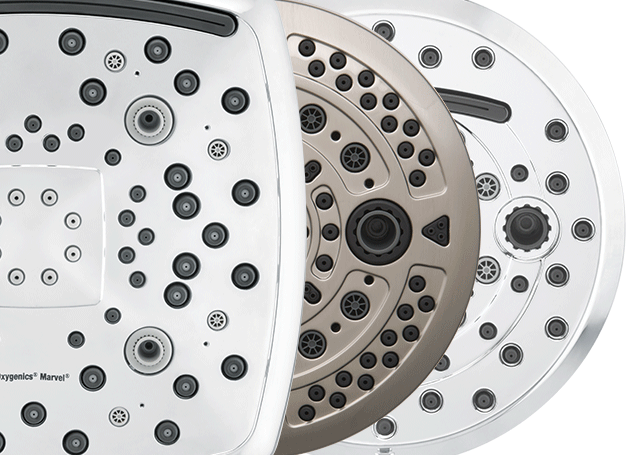 Our shower heads are built to last, which is why we only use the highest quality materials.  We are looking for reviewers located in the U.S. and Canada!